Or just away with the fairies! Sorry, just kidding: Couldn’t resist! 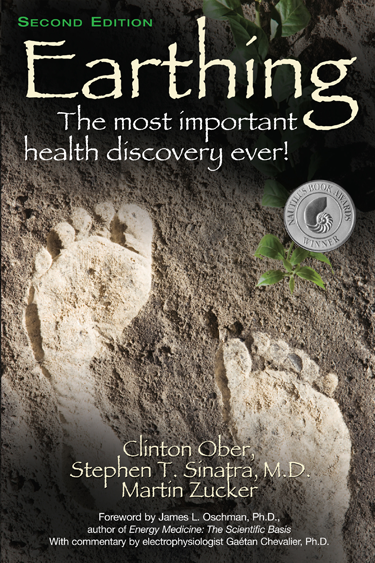 I have just finished reading a book with the title of Earthing. It has been an absolutely fascinating read and one, I’m bound to say, that seems entirely plausible. Just as the sun gives us warmth and vitamin D, the Earth underfoot gives us food and water, a surface to walk, sit, stand, play, and build on, and something you never, ever thought about—an eternal, natural, and gentle energy. Think of it perhaps as vitamin G: G for ground. What does that mean to you? Maybe the difference between feeling good and not so good, of having little or a lot of energy, or sleeping well or not so well. Throughout history humans walked barefoot and slept on the ground. But modern lifestyle, including the widespread use of insulative rubber, or plastic-soled shoes, has disconnected us from the Earth’s energy and, of course, we no longer sleep on the ground. Fascinating new research has raised the possibility that this disconnect may actually contribute to chronic pain, fatigue, and poor sleep that plague so many people. The remedy for the disconnect is simple. Walk barefoot outdoors whenever possible and/or sleep, work, or relax indoors in contact with conductive sheets or mats that transfer the energy to your body. People who do so on a regular basis say they sleep better, feel better, and have more energy during the day. This simple practice is called Earthing, also known as grounding, and it is both a technology and a movement which is transforming lives across the planet. Were you aware, for example, that the sole of our foot has more nerve endings per square inch than any other part of our body! And more sweat glands! All from thousands of years of being connected to the Earth. Jean and I have just ordered the half-sheet and I shall be delighted to write more of our experiences over the coming weeks. And I don’t need to remind you that dogs have been in bare-foot contact with Planet Earth for some time now! I have frequently written about the many growing stresses in societies so, in a sense, today’s post is nothing new. But the power of a recent essay over on TomDispatch was such that I couldn’t ignore it. Especially as Tom Engelhardt has given me permission to republish it. I’m referring to the essay by Peter Van Buren under the title of Regime Change in America. However, while that essay is published wholly as one by Tom, I’m going to break it down into two posts; today and next Monday. Simply because it resonates so strongly with other items that I want to refer to. 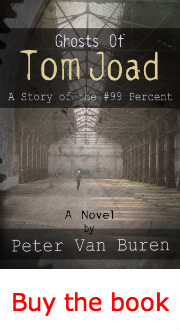 But let me get started by offering you Tom’s introduction to Peter Van Buren’s essay. Of course, an inequality gap has been widening into an abyss for decades now, but when it comes to the present boom in old-fashioned words that once went with being really, really, obscenely wealthy and powerful, give the Occupy movement of 2011 credit. After all, they were the ones who took what should already have been on everyone’s lips — the raging inequality in American society — out of the closet and made it part of the national conversation. 1%! 99%! In an America where, when it comes to the political system, the Supreme Court has now granted the dollar the full right to speak its mind, and ever more of those dollars can be found in the pockets of… well, not to put a fine point on it, plutocrats, we need a new (that is, old) vocabulary to fit our changing circumstances. So now you might have to buy your own crutches, but you’ll get your shotgun subsidised by the state. A few days after False Economy revealed that an NHS group is considering charging patients for the crutches, walking sticks and neck braces it issues (1), we discovered that David Cameron has intervened to keep the cost of gun licences frozen at £50: a price which hasn’t changed since 2001 (2). The police are furious: it costs them £196 to conduct the background checks required to ensure that shotguns are issued only to the kind of dangerous lunatics who use them for mowing down pheasants, rather than to the common or garden variety. As a result they – sorry we – lose £17m a year, by subsidizing the pursuits of the exceedingly rich (3). The Country Land and Business Association – the armed wing of the Conservative party – complains that it’s simply not fair to pass on the full cost of the licence to the owners of shotguns (4); unlike, say, the owners of passports or driving licences, who are charged on the basis of full cost recovery. Three days later – on Friday – the government announced that it will raise the subsidy it provides for grouse moors from £30 per hectare to £56 (5). Yes, you read that right: the British government subsidises grouse moors, which are owned by 1% of the 1% and used by people who are scarcely less rich. While the poor are being forced out of their homes through government cuts, it is raising the payments – across hundreds of thousands of hectares – that some owners use to burn and cut the land (helping to cause floods downstream), shoot or poison hen harriers and other predators, and scar the hills with roads and shooting butts (6). While the rest of us can go to the devil, the interests of the very rich are ringfenced. So with no further ado, back to the first half of Peter Van Buren’s essay. Outside, along the Boardwalk, there are still the famous rolling chairs. They are comfortable, bound in wicker, and have been a fixture of Atlantic City for decades. They were once pushed by strong young men, maybe college students earning a few bucks over the summer break. You can still ride the chairs to see and be seen, but now they’re pushed by recent immigrants and not-so-clean older denizens of the city. Lots of tourists still take rides, but there’s something cheap and sad about paying workers close to my own age to wheel you around, just a step above pushing dollars into the G-strings of the strippers in clubs just off the Boardwalk. 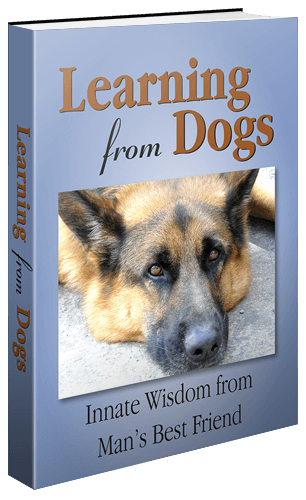 OK, I opened today’s post with the sub-heading “Probably just now the most important lesson to be learnt from dogs!” Let me expand on that. Known as African wild, painted, or Cape hunting dogs, these endangered canines closely resemble wolves in their pack-oriented social structure. These long-legged canines have only four toes per foot, unlike other dogs, which have five toes on their forefeet. The dog’s Latin name means “painted wolf,” referring to the animal’s irregular, mottled coat, which features patches of red, black, brown, white, and yellow fur. Each animal has its own unique coat pattern, and all have big, rounded ears. 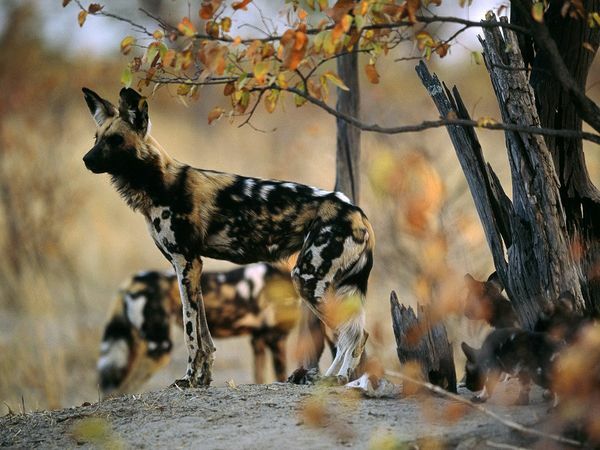 African wild dogs hunt in formidable, cooperative packs of 6 to 20 (or more) animals. Larger packs were more common before the dogs became endangered. So back to the domesticated dog. There are just three ‘roles’ to be found: the female alpha dog, the male beta dog and the omega dog that can be of either gender. Even though in a group of dogs (we have eight here at home) the alpha and beta dogs are dominant and will eat first, there is no question of denying the other dogs in the group access to food, water and love from us humans. The lesson we must learn from dogs is obvious and there’s no need for me to spell it out! The second half of Peter Van Buren’s essay will be published here on Monday. Trust, truth and community, Pt. 3. How a very ancient concept has modern attributes. One might be forgiven for thinking that community is an odd bed-fellow with trust and truth. Many might think that faith would be a more logical third leg, so to speak. However, I hope to show that in today’s world where trust and truth are beleaguered qualities a rethinking of community is critically vital for the long-term health of mankind. Can’t resist a third look-up in Roget’s Thesaurus. Persons as an organised body: people, public, society. For me two words jump out from that definition: persons; organised. The challenge is that the word organised is easily interpreted as an organisation with leaders and followers. But that’s not how community is regarded in the context of this third essay. “No man is an island”, John Donne wrote in 1624. Thus for the vast majority of people on the face of this planet, we are linked to others and how we live our lives is fundamentally influenced by those others about us. 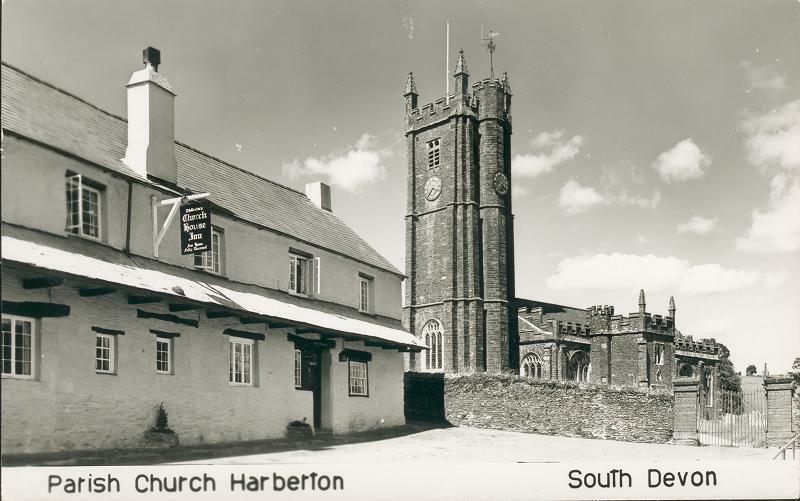 In a past life, I lived in the village of Harberton in South Devon. The population of Harberton was 300 persons. An E. M. Morison (Totnes) postcard, bearing a 3p stamp, which gives a sending date between Feb 1971 and Sept 1973. Now I was lucky when I moved into Harberton because my two sisters, Rhona and Corinne, had lived in the area for many years and it was easy for me to be positioned as ‘the brother’. Nevertheless, the way that the village embraced all newcomers was wonderful and within a very short time one felt a settled member of the community. Same for Jean and me as relative newcomers to our property just 4 miles from Merlin, Oregon. All of our neighbours have embraced us and helped us understand this new rural life that we have embarked on. We feel part of the local community. Yet it doesn’t stop there. Users produce about 44.5 million new posts and 56.7 million new comments each month. Over 409 million people view more than 14.7 billion pages each month. Even my funny little blog has 959 followers! What that figure doesn’t reveal is how many of my followers have offered support, openness and real loving friendship. None better demonstrated than by the comments left by readers when I announced the recent death of Dhalia. Think of the way that untold numbers of internet users rely on that ‘worldwide web’ for referrals, opinions or knowledge about anything ‘under the sun’. So while there might be many aspects of our new technological world that create unease, the opportunities for having ‘virtual’ friends to complement our social friends make this era unprecedented. I would go so far as to say this. That the way that knowledge and information can be shared around the world in no time at all may be our ultimate protection against those who would seek to harm us and this planet. On Wednesday evening we were joined by neighbours, Dordie and Bill. My post on truth came up in discussion. Bill mentioned that he had read about a person who had spent many years studying the texts of all the world’s major religions. What had emerged was that across all those great religions there was a common view as to what the long-term health and survival of societies requires. It is this: the telling of truth and the keeping of promises! Once again – the need for integrity. No apologies for another banging of this drum! Stories like this remind me that much of life is a struggle against disappointment. Perhaps I’m an idiot, but I expected a world that was so much better. I still believe it’s possible. But getting there requires a daily struggle against those who would mislead us. George is certainly no idiot for expecting a better world, or to put it another way, if George is an idiot for such an expectation then there are millions of fellow idiots out there. They construct a labyrinth of falsehoods from which it is almost impossible to emerge without the help of people who devote their lives to navigating it. This is the role of the media. But the media drags us deeper into the labyrinth. So with those words still ringing in your ears, settle down for just sixteen minutes and watch anti-corruption activist, Charmian Gooch‘s recent TED Talk. And if, having watched Charmian’s very compelling talk, you want to support her, then go to the Global Witness website. This news really brightened my day! Or, perhaps I should have written that sub-heading, “Adding a gloss to what are mostly bright days!”. What on earth am I rabbeting on about? Without in any way of knowing in a reliable manner, as in statistically reliable, the attitudes of folk, nonetheless there is no question that a huge number of the ordinary folk that live around us here in Merlin, Joesephine County, Oregon and others that one meets in the course of being ‘out and about’ are worried; frequently deeply worried. Worried about the “Huge wealth and power ..” and the gross inequalities that flow from that. Democracy isn’t just about politics — it’s people getting together and deciding how things should be. It’s a skill we can practice with people wherever we are: in our workplaces, our schools, and our communities. Loomio is a user-friendly tool for collaborative decision-making: not majority-rules polling, but actually coming up with solutions that work for everyone. We’re a small team in New Zealand, and we’ve built a prototype that people are already doing great things with. Now we’re crowdfunding so we can build the real thing: a new tool for truly inclusive decision-making. The world needs a better way to make decisions together. Democracy isn’t just about politics – it’s people getting together and deciding how things should be. It’s a skill we can practice with people wherever we are: in our workplaces, our schools, and our communities. At this point, I should declare an involvement. Jean and I decided to donate a modest amount. Thus it is not from an impartial position that I close today’s post with the following video. Bet you will be impressed! If you enjoyed that video then do watch the following TED Talk. This could be a most interesting development! Sometimes one just has to wonder …. …. about the most peculiar species of all: man! A number of essays and items from a variety of sources have passed my screen in recent times that ….. well, you complete the sentence! Let me illustrate; in no particular order. I have long been a follower of the writings of George Monbiot. Those who haven’t come across Mr. Monbiot before can avail themselves of his background and dip into his articles, many of which underscore my proposition that we really are a peculiar race. For example, just three days ago George Monbiot published an article under the title of The Benefits Claimants the Government Loves. It highlights one mad aspect of UK Policy. As a result of these multiple failures by the government, even Farmers’ Weekly warns that “British soils are reaching crisis point” (16). Last week a farmer sent me photos of his neighbours’ fields, where “the soil is so eroded it is like a rockery. I have the adjoining field … my soil is now at least 20 cm deeper than his.” In the catchment of the River Tamar in Devon, one study suggests, soil is being lost at the rate of five tonnes per hectare per year (17). I could go on. I could describe the complete absence of enforceable regulations on the phosphates farmers spread on their fields, which cause eutrophication (blooms of algae which end up suffocating much of the freshwater ecosystem) when they run into the rivers. I could discuss the poorly-regulated use of metaldehyde, a pesticide that is impossible to remove from drinking water (18). I could expand on the way in which governments all over Europe have – while imposing a temporary ban for flowering crops – permitted the use of neonicotinoid insecticides for all other purposes, without any idea of what their impact might be on animals in the soil and the rivers into which they wash. The research so far suggests it is devastating, but they were licensed before any such investigation was conducted (19). There is just one set of rules which are effective and widely deployed: those which enforce the destruction of the natural world. Buried in the cross-compliance regulations is a measure called GAEC 12 (20). This insists that, to receive their money, farmers must prevent “unwanted vegetation” from growing on their land. (The rest of us call it wildlife habitat). Even if their land is producing nothing, they must cut, graze or spray it with herbicides to get their money. Unlike soil erosion, compaction and pollution, breaches of this rule are easy to detect and enforce: if the inspectors see trees returning to the land, the subsidy can be cut off altogether. We are a deeply equalitarian species. Out of equality rises our superior cultural performance. Plutocracy, the rule of the Dark Side, denies giving, love, and the equality which make us possible. Thus plutocracy is a denial of our species. Only an anger great enough to destroy it, will save us, and the biosphere. And there is hope: greed is neither as natural, nor as strong as anger. It’s time to get angry against dictator Putin. Angry now is better than very sorry tomorrow. 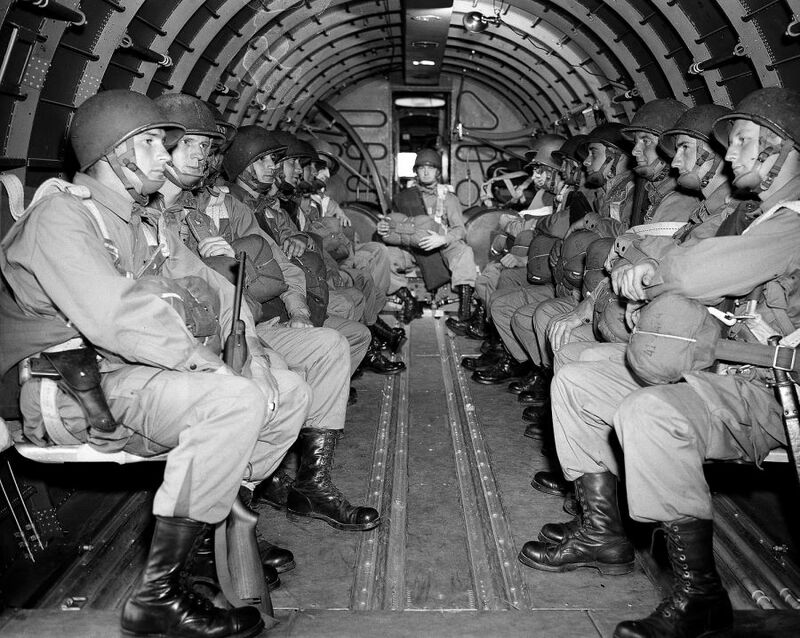 War makes history. Of this we must think, if we want to make history better. The earlier unjustifiable, unprovoked fascism, greedy plutocracy, imperial overstretch, murderous paranoia and other aspects of the Dark Side get smashed, the better. Such is the most basic lesson of the 1930s. For the millions of us that live relatively comfortable lives, it’s easy to read this stuff, nod sagely, and wonder if the heating needs to be left on this coming night. But, pardon the pun, wake-up calls as to the approaching nightmares (sorry!) are not hard to find. I believe inherently that the great majority of individuals are good people. Take Kevin Richardson for instance. Not for him money and power. Just a passion to save lions. Oh, and hugging them! Just watch, and be moved. So in these broken times, let all the good people come out strong – stronger than those who are corrupt, irrational, destructive and counter-productive! It is the ultimate time for hope and faith in the power of goodness! From Environmentalism to Ecologism, Part Three. The concluding Part Three of Martin Lack’s guest essay. Part One is here: Part Two is here. Therefore, having now surveyed all the relevant “territory”, we shall now consider the third and final part of the answer to the question as proposed in the Introduction. Ecologism – Neither left nor right, but out in front? According to Philip Shabecoff, it was members of the European Green parties that were the first to assert that they are “neither left nor right but out in front” (2000: 109). For this to be true, ecologism would have to represent a new paradigm that rejects (or at least challenges) beliefs central to conventional politics (of any orientation). This, it is here argued, is indeed the case: In a discussion of the libertarian ideas of John Locke and Adam Smith, William Ophuls observed that they “…have not gone unchallenged, but with very few exceptions, liberals, conservatives, socialists, communists, and other modern ideologies have taken abundance for granted and assumed the necessity of further growth” (Ophuls 1977: 145). What is the problem with modernity? As suggested by Anthony Giddens, modernity encompasses “…modes of social life or organisation which emerged in Europe from about the seventeenth century onwards and which subsequently became more or less worldwide in their influence” (Giddens 1991: 1). The problem is that the accumulation of personal wealth has become the sole objective of many people in modern society; and perpetual growth is posited as a means whereby even the poorest might achieve it. Karl Marx (as cited by Jon Elster) coined the term “money fetishism” to describe the belief that money (and/or precious metals) have intrinsic (use) value rather than just instrumental (exchange) value, which Marx felt was as misguided as the religious practice of endowing inanimate objects with supernatural powers (Elster 1986: 56-7). However, whereas Karl Marx saw capitalism as the problem, the ideology that he gave his name to is just as guilty of Daly’s “growthmania”. For example, whereas Jack Goody accepts that capitalism has been “…connected with the growth of rationality and of secularisation; more recently with urbanisation and industrialisation”, he also notes that for Marxist regimes “…modern meant industrialisation without capitalism” (Goody 2004: 6). The terms “use value” and “exchange value” were first put forward by Aristotle (384-322 BC) who, according to Daly, also recognised the danger of focusing on the latter (i.e. whereby the accumulation of wealth becomes an end in itself) and, alluding to Marx’s criticism, Daly suggested that the paperless economy (where no useable commodities actually change hands) is the logical end-point for money fetishism (Daly 1992: 186). In the first edition of this book, published in March 1998, I wrote: ‘Today’s regime of global laissez-faire will be briefer than even the belle époque of 1870 to 1914, which ended in the trenches of the first world war’… Not much more than a decade ago this seemed outlandish, but there have since been many signs that global capitalism was heading for a fall (Gray 2009: xii). Does ecologism provide the answers? Two centuries of intermittent wrestling with population problems have produced useful insights about the reality and nature of limits… Four centuries of sedation by the delusion of limitlessness have left humanity floundering in a wilderness of rhetoric… From this it must be inferred that someday political conservatism will once again be defined as contented living within limits. The limitless world view will have to be abandoned (Hardin 1993: 5-6). Anyone who asserts the existence of limits is soon presented with a whole litany of things that someone once said could never be done but subsequently were done… Continuing to study economies only in terms of the [exchange value of money] is like studying organisms only in terms of the circulatory system, without ever mentioning the digestive tract. (Daly 1992: 185-186). Much more recently, Daly has reminded us that, “Ecological limits are rapidly converting ‘economic growth’ into ‘uneconomic growth’-that is throughput growth that increases costs by more than it increases benefits, thus making us poorer not richer” (Daly 2007: 39). So, it would seem that the challenge of living “within our planet’s means” remains significant; one that few politicians are willing to discuss (because there are no votes to be gained in doing so). It is this fact that the environment cannot speak for itself (i.e. it is disenfranchised) that led Goodin to the conclusion that “nature has interests… as deserving of protection as anyone else’s, which must be ‘encapsulated’ as part of a discursive participatory democracy” (Goodin 1996: 835). Similarly, whereas Goodin used the term “encapsulated interests” (to describe how one party’s interests are incorporated in those of another), Dobson suggested that non-human animals and future generations of humans (and maybe even other species) are “new environmental constituencies” requiring human representatives to look after their interests (Dobson 1996: 125). All that needs to be decided is who we shall admit into the “community of justice” (i.e. how radical you want to be). Advocates of environmental justice merely insist that the instrumental value of the environment to humans should be recognised in a theory of social justice or justice among humans. 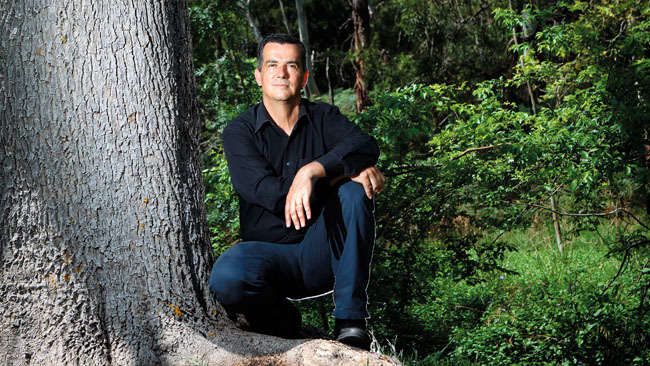 Ecological justice makes the much more radical claim that justice extends beyond relations among humans so that we can talk about ‘justice to nature’ (Bell 2006: 208). The question that has been addressed herein is whether or not ecologism can or should be regarded as a political ideology in its own right given that both socialists and conservatives can lay claim to some aspects of ecological politics. In order to provide a defensible answer to this question, it was necessary to define what is meant by ecological politics (i.e. the pursuit of policies that are concerned with the environment; but which are not merely or predominantly anthropocentric) and ecologism (i.e. the pursuit of environmental policies that are biocentric or ecocentric). This therefore highlighted the fact that the two are not the same thing; and that ecological politics also includes anthropocentric environmentalism. However, it has been demonstrated that, rather than being a simple dividing line within the field of ecological politics, anthropocentrism and ecocentrism represent opposite ends of a spectrum along which it is possible to adopt a variety of philosophical positions. 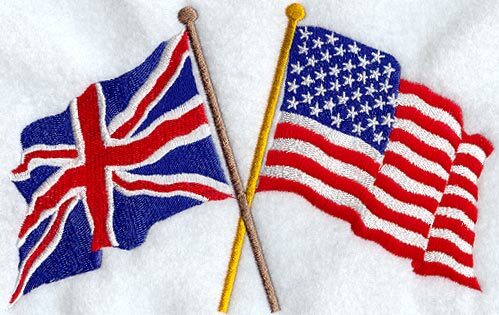 Furthermore, although it has also been demonstrated that it is very difficult to be entirely one thing or the other, when faced with difficult policy decisions, almost everyone (both socialists and conservatives included), tends to favour self-preservation. Therefore, the default position of all humans tends to be towards the anthropocentric end of the spectrum. Nevertheless, to avoid the tautological response to the question (“ecologism must be regarded as a distinctive political ideology in its own right because it is!”), it was deemed necessary to demonstrate how and why both socialists and conservatives can lay claim to ecological politics (although the majority of both socialists and conservatives do not do so) and, therefore, how and why the ecologism that both find so challenging must be regarded as a political ideology in its own right. In so doing, it has been shown that some socialists find common cause with those that seek equal rights for the environment; whereas some conservatives may do so in pursuit of maintaining the status quo. However, both generally assume the necessity of further growth (Ophuls); what Daly called ‘growthmania’. Furthermore, capitalism is fixated upon the inherent value of things we may consume; whereas Marxism (an extreme form of socialism) is fixated upon the inherent value of things we may produce. However, ecologism insists that nature has inherent – if not intrinsic – value in and of itself; independent of our finding a use for it. Ecologically-minded scientists and economists have pointed out that the Earth is finite and its capacity to accommodate humans is finite; whereas the evidence of at least the last 40 years is that many prefer to refuse to accept this reality and, as Schumacher pointed out, are spending environmental capital as if it were income. Therefore, because ecologism demands justice that is ecological (ecocentric) – not just environmental (anthropocentric), it represents a fundamental challenge to conventional politics and, as such, must be regarded as a distinctive political ideology in its own right. Baxter, B. (1999), Ecologism: An Introduction. Edinburgh: Edinburgh University Press. Bell, D. (2006), ‘Political Liberalism and Ecological Justice’ [online], Analyse & Kritik 28, pp.206-22. [Paper originally presented at ECPR General Conference, Marburg, 18–21 September 2003]. Available at <http://analyse-und-kritik.net/2006-2/AK_Bell_2006.pdf> [accessed 18 April 2011]. Daly, H. (1992), Steady State Economics (2nd edition). London: Earthscan. Daly, H. (2007), Ecological Economics and Sustainable Development, Selected Essays of Herman Daly. Cheltenham: Edward Elgar. Dobson, A. (1996), ‘Representative democracy and the environment’, in Lafferty, W. and Meadowcroft, J (eds), Democracy and the Environment: Problems and Prospects. Cheltenham: Edward Elgar, pp.124-39. Dryzek, J. (2005), The Politics of the Environment (2nd edition). Oxford: Oxford University Press. Ehrlich, P & Ehrlich, A. (1996), Betrayal of Science and Reason. New York: Island Press. Elster, J. (1986), An Introduction to Karl Marx. Cambridge: Cambridge University Press. Giddens, A. (1991), The Consequences of Modernity. Cambridge: Polity Press. Goodin, R. (1996), ‘Enfranchising the earth, and its alternatives’, Political Studies, 44, pp.835-49. Goody, J. (2004), Capitalism and Modernity: The Great Debate. Cambridge: Polity Press. Gray, J. (2009), False Dawn: The Delusions of Modern Capitalism, 2nd edition. London: Granta. Hardin, G. (1993), Living Within Limits: Ecology, Economics, and Population Taboos. Oxford: Oxford University Press. Low, N. and Gleeson, B. (1998), Justice, Society and Nature: An Exploration of Political Ecology. London: Routledge. Malthus, T. (1798), An Essay on the Principle of Population. London: J Johnson. Ophuls, W. (1977), Ecology and the Politics of Scarcity. San Francisco: Freeman & Co..
Shabecoff, P., (2000), Earth Rising: American Environmentalism in the 21st Century, Washington DC: Island Press. I know a good number of readers have followed Martin’s essay since Tuesday and I would like to thank Martin, on my own account and on behalf of all LfD readers, for giving me the opportunity to republish the essay.